Dr. Trina Parker was on O'ahu for a medical conference. It should have been a simple working vacation - meetings during the day, relaxation at night. Instead, she helped a man needing CPR, was assaulted in the ocean, then discovered that yes, there really were merpeople. Arris had come to shore to stop Vidar. He was dangerous, and not only to other mer. He had attacked Trina, and Arris was determined it wouldn't happen again. He was more than willing to stay with Trina and keep her safe. And to show her everything it was to be mer. Thus begins an adventure for Trina that will change her life forever. 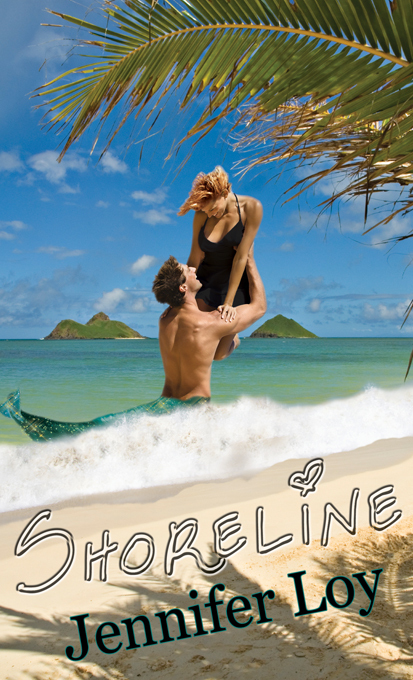 Shoreline was a mer story with a fascinating twist. I was interested in learning about their world, culture, and physiology. I enjoyed Arris' courtship of Trina. I did find some of the plot twists a bit simplistic, but will definitely look for additional stories by Jennifer Loy - hopefully more mer! FTC Disclaimer: I did receive an ebook directly from the publisher. However, this website only posts "good" reviews. If I cannot post a positive review, I notify whoever has provided me with the book/ARC/ebook.